The college football season finally kicks off on Thursday night – will anyone bother watching or betting on those completely meaningless final NFL Preseason games that are all Thursday as well? – with the best matchup on paper looking like when Big East preseason favorite and 15th-ranked Pitt travels to Utah. Pitt at Utah Betting Odds: Utah -3, total of 49.5. Approximately 55 percent of the lean is on Pitt and that hasn’t changed much even though the line originally opened at Pitt +2.5 at some books. The total has moved on average about a point lower. Pitt at Utah Key Betting Trends: Utah was 6-7 ATS last season. Pitt was 7-5 ATS. The over is 10-2-1 in Utah’s past 13 non-conference games. The under was 4-1 ATS in Pitt’s final five games of 2009. Kudos to Pitt for having such a tough road opener – the Panthers haven’t opened a season on the road since 1993. Pitt is 8-2 in season openers over the past decade, including a 3-2 mark under Dave Wannstedt. It is 9-3 in its past 12 road games overall. Meanwhile, the Utes thrive when they have extra time to prepare (obviously they’ve had all summer for this one). According to the Salt Lake Tribune, when you combine Utah’s nine-game bowl winning streak with season openers, games after byes and games held on nights other than Saturdays, the Utes have won their past 13 contests when they have more than a week to prepare. Yet they are 0-5 against ranked teams in season openers. If the Utes lose this one, they can probably kiss any BCS bowl goodbye even though it’s only Week 1. 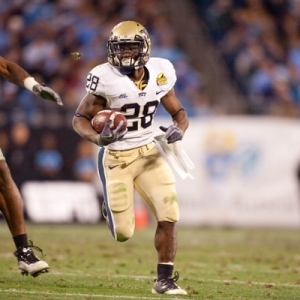 Pitt has arguably the best running back in the Big East in Dion Lewis as well as the best receiver in Jon Baldwin. Lewis is a likely Heisman Trophy candidate after rushing for a Pitt freshman record 1,799 yards last year, the second-best overall total in school history. Baldwin (57 catches, 1,111 yards, 8 TDs last year) is probably going to be a first-round pick in the 2011 NFL Draft. However, the Panthers are breaking in a new quarterback in Tino Sunseri and three starters on the offensive line. Thus look for a major dose of Lewis on Thursday. According to Wannstedt, the Panthers are a healthy team, and that includes defensive end star defensive end Greg Romeus (back spasms), the reigning Big East Defensive Player of the Year, and excellent No. 2 tailback Ray Graham (knee), who both missed most of camp. Utah, which has won 17 in a row at home, lost its top four tacklers from 2009 and has to replace seven starters on defense, including all three at linebacker and three in the secondary. And one of the projected defensive starters, JJ Williams, is out with a foot injury. Last year the Utes gave up 137.8 yards rushing a game to rank fourth in the Mountain West and 54th nationally. On offense, Utah has some major weapons in QB Jordan Wynn and RBs Eddie Wide and Matt Asiata. Wynn took over the starting job midway through his freshman season and completed 58 percent of his passes and threw for 1,329 yards with eight touchdowns and four interceptions in six games. Wide and Asiata combined for nearly 1,700 yards and 16 TDs last year. Asiata was the starter but didn’t play after Week 4 due to an injury. Coach Kyle Whittingham called Asiata and Wide “exact equals” on the depth chart for now. Love the home team here. The public will see they are getting points with the ranked team and I think the oddsmakers have shaded the line a bit here and I think there is some nice value on the Utes at home. Lay the points here. Doc’s Sports has become known in nearly four decades in the sports handicapping business as one of the brightest and most successful college football handicappers in the nation and Doc is primed for one of his best years ever in 2010-11. Here ay Doc’s Sports we provide both college football picks and NFL picks in one package so you can get the best of both worlds for all your football betting needs. Doc has his first 6-Unit game of the season going Saturday out of the Big Ten. Check our homepage for up-to-the-minute college football odds and daily exclusive college football betting articles.